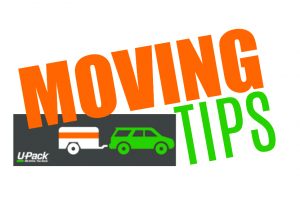 I am teaming up with U-Pack to share with you our MOVE across the country! Thanks for letting us share amazing companies with you. After moving 9 times to 6 different states in the last 12 years, I feel like I know a little bit about moving. Despite what you might think, moving is not my favorite thing. ha ha. My husband has gotten a masters degree, graduated medical school, finished his residency and we are now moving AGAIN so he can do a fellowship in pain medicine. We are moving from TX to CA! With all of our adventures, we have moved many times, and we have used a lot different moving companies. We didn’t always have the best of luck when it came to moving such as late arrivals or even a lot of damaged items in our moving trucks. The last three moves I have used U-Pack and I will NEVER go anywhere else. They dropped everything off on time, had great customer service, we got our items exactly when they said we would, and the list goes on and on. Why Use A u-Pack Trailer? 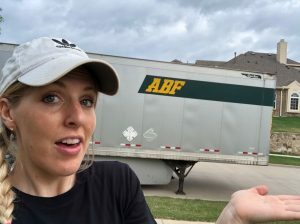 This time around we used their ABF Moving Trailer because we had more stuff, and a bigger house than we did the other years. I guess that’s what happens when you keep having kids! ha ha. We now have 4 little girls (ages 10, 8, 5 and 18 months.) We also had a 4200 square foot house and we decided to give the moving trailer a try! (Although the Relocubes would have still worked… we would have needed quite a few of them! How big is the U-Pack trailer? One thing I love about the u-pack containers is that they are bigger than even the largest rental truck you can get, which was good because we accumulated a lot of stuff! The external dimensions are 28 ft. x 8 ft. x 9 ft. (lwh). Inside dimensions are 324 in. x 96 in. x 108 in. (lwh). 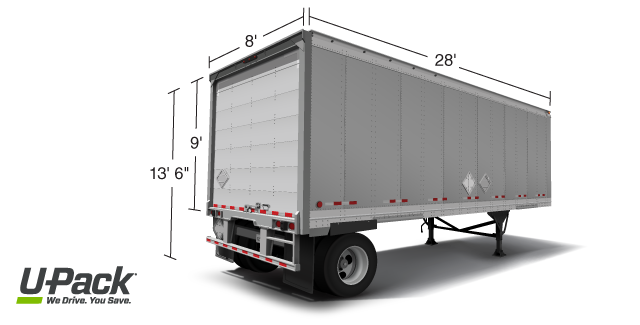 The loading space is about the same in size to a 26-foot AND 10-foot rental truck COMBINED! 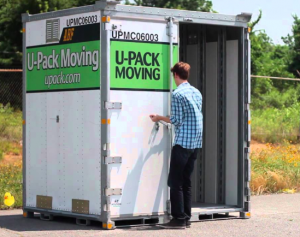 U-pack has a lot of different options to help you move, but door to door is by far my favorite! Need them to hold your moving tailor or Relocube? They can do that too! How much will the rental trailer hold? We were told it had enough room to hold a 3- to 4-bedroom home. Which it did perfectly! We also sold a lot of things before we left that we didn’t need anymore, so we had plenty of space and with a little left over even! How much does u-pack trailer cost? This is one of the best things about U-Pack! You pay for what you actually use! Your quote will reflect how many linear feet they estimate you’ll need, and provide “per foot” pricing that lets you to pay only for the space you use. So, if you reserve 10 feet and only need 8, you’ll only pay for 8. Where can I park the moving trailer? As long as it is legal (and safe) the driver can park it wherever you want! When we moved to the new place in CA we had to get permission from our HOA to park on the road. We only had 2 days to unload because of the HOA, but it worked out perfectly. If you are new to U-Pack, be sure to check out my 10 moving hacks that you NEED to know before moving! 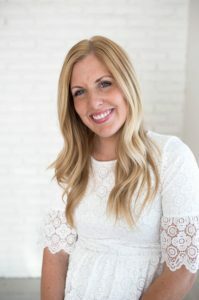 I highly suggest reading these packing tips and loading tips – They helped me save a lot of space and since you pay for the space you use, it helped me save money too! If you are curious on how much U-Pack will cost, you can get a free quote! 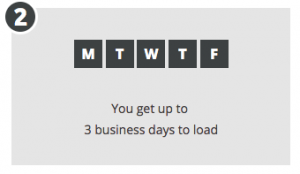 Go to UPack.com for your quote. We used UPack when moving from Minnesota to Arkansas. I agree with everything you said. They are great! And it cost us less than a smaller truck that we would have had to drive ourselves. So much easier!